2017 Sandy Camp – What You Missed! This is a list of event “teasers” and a link to photos. 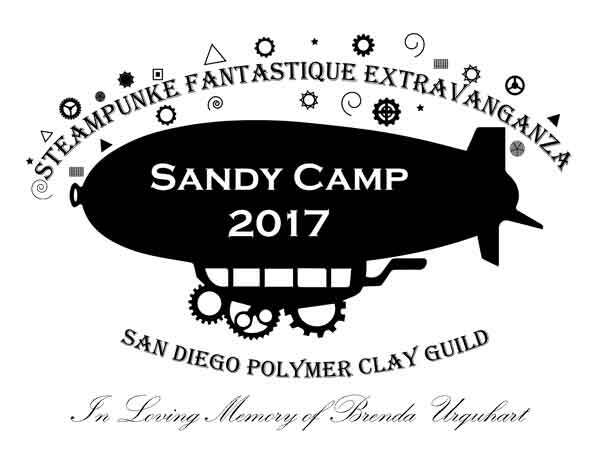 Join us next year for our 20th Annual Sandy Camp! #3 Sandy Camp Swaps – What are they? How do they work? #5 What you REALLY need to bring to Sandy Camp — and what NOT to bring. Please have mercy on your table mates! #6 Featured Artist Class – Judy Summers Horse Armature. 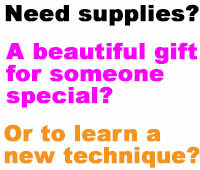 About the class, what to bring, what will be provided. #7 Thursday Night- White Elephant Tool Exchange. It’s like a holiday gift exchange, unwrap and steal up to 2 times before it’s FROZEN. See Teaser for more details. #8 Friday Night Social – Store demo round robin. Learn how to use the tools and materials from the artists featured in the store. #9 Wednesday Night – Button Swap Bingo – Fun for those not attending the Master Class. #12 Miniature Polymer Clay Rose with Christina Whipple – Got a “black thumb” when it comes to gardening? Forget growing them. Make beautiful, realistic roses by the dozen! #13 The Steampunk Goblet Challenge – Decorate your goblet using Sculpey’s donated clay, gear and other stuff and maybe win 25 Drawing Tickets! #14 3D Pod Pendant with Permanent Bale with Corliss Rose – Tips and tricks for designing and creating your own pod pendants. #15 “Gearing Up to Create” with Kelly Steindorf – Making steampunky gears with polymer clay. Caning and extruding and much more! #16 “Bezels & Bales” with syndee Holt – Cool tricks for hanging that pendant from our Prez and Sculpey Brand Ambassador. epoxy clay, swellegant and steampunk accents to create a vessel!